I’m a huge fan of the BeagleBone Black. It’s an alternative to the popular Raspberry Pi. I’m such a fan that I got my second one a few days ago. This website runs on a BeagleBone Black. It’s powered via USB, and it’s connected to my switch at a data center. For some reason I choose to use this credit card-sized ARM computer to host stuff instead of a VM. It reminds me of the little VMs I used to work with in middle school. I used to ask my parents to rent VMs for me during my summers. They’d spend maybe $10 a month for a couple of months and I’d play around with it. Root access on a Linux VM with a tiny bit of RAM and a public IP? The possibilities were endless! You can think about a VM, running on some beefy server somewhere, that is completely opaque to you in terms of hardware and stuff, and then you can look at this little thing that can fit into your pocket, watch its lights blinking, and it’s just so magical. I would’ve loved something like this when I was in middle school. 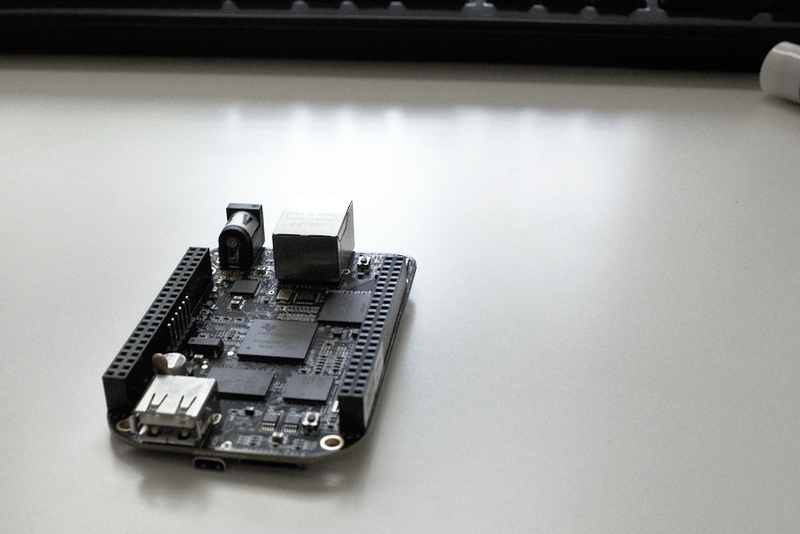 Anyway, the first BeagleBone is running some other stuff in addition to this blog. It hosts my Twilio endpoint and has a bunch of scripts that I use for automation. I’m not exactly sure what I’m going to use this second one for, but I have plugged in a USB audio interface and played my guitar through it. I’ve been trying to get a simple reverb effect but audio programming with callbacks and stuff is crazy!